The body of a young woman was found beaten and strangled inside her West Philadelphia apartment on Thursday afternoon. 27-year-old Jasmine Wright was found in her third floor unit on the 200 block of South 50th Street after a property manager checked on her at the request of her father. He is from Brooklyn and hadn't heard from her in a few days. She was pronounced dead at the scene around 2:35 p.m. Investigators believe she was dead for about 24 hours. 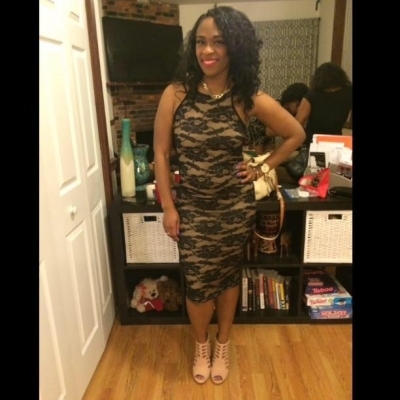 Wright was a 2015 graduate from Drexel University's School of Public Health Master's program. She also graduated from Pennsylvania State University in 2011 with a bachelor's degree in behavioral health. There were no signs of forced entry and it does not appear anything was taken. Her car was still parked on the street outside. Police believe she may have known her attacker and let them in the door. They are searching the area for surveillance. No arrests have been made. Anyone with information is urged to contact Philadelphia Police at 215-686-TIPS (8477) or text a tip to PPD TIP (7738847). Authorities in Upper Merion Township, Montgomery County are warning residents about a team of professional pickpockets targeting shoppers. There have been twenty thefts so far this year, 10 in the last two months in the King of Prussia and Tredyfferin area. They have occurred in clothing stores, supermarkets, and restaurants. Some of the thefts were caught on surveillance camera. Authorities believe they are dealing with a group of eight pickpockets. A number of them have been identified as members of a national pickpocketing network and warrants were issued for their arrest. Normally they'll work in pairs with one causing a distraction while the other makes the move. Sometimes one partner will engage the customer in conversation and the other will reach into the purse for the wallet. Always keep purses zipped and close to your person. Hanging a purse on a chair is a dangerous position. If you believe you have been victimized or have information call Upper Merion's detectives at 610-265-3232. A man is in critical condition after he was shot by a police officer in North Philadelphia on Friday Night. It happened at 7:00 p.m. at 8th Street and Fairmount Avenue. An officer from the 6th district responded to a call of a man with a gun. When the uniformed officer arrived in his marked police cruiser he saw the man with the handgun in his waistband. He ordered the man to show his hands, but the man reportedly began to pull the gun from his waistband. That's when the officer opened fire, hitting the suspect once in the chest. A loaded, semi-automatic handgun was recovered the suspect. He was taken to Hahnemann Hospital in critical condition. The identity of the officer or the suspect have not been released. An investigation continues.